Sorry for my absence again, I’ve been ill and as a result I haven’t really been spending much if any time online lately ^^; Enough with the excuses before I disappeared, my DC Comics x Bishoujo Poison Ivy figure arrived in the mail from Entertainment Earth and I managed to squeeze in a photo shoot with her. 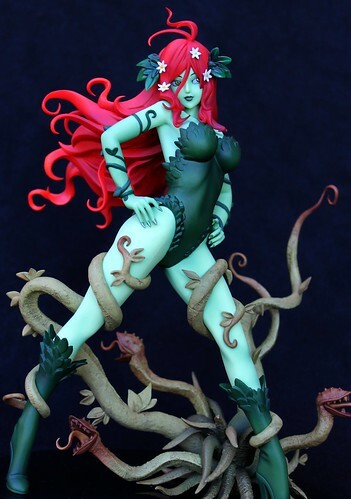 Poison Ivy is one of my favorite DC characters, so I couldn’t resist preordering this figure and I have to say I am extremely pleased with her. 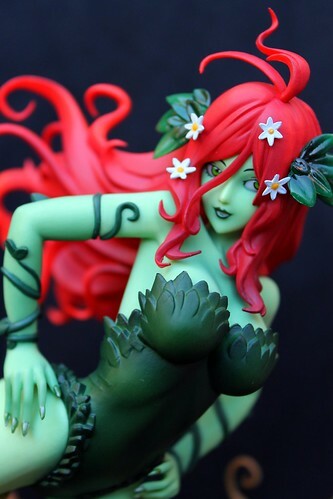 In my personal opinion she is the best figure in the DC x Bishoujo line; her sculpt is amazing, the colors are amazingly vivid and the figure just really seems to suit Poison Ivy’s character. Yes, I really think Kotobukiya outdid themselves with this figure. The only thing I am not 100% on is that smile, I wish she had more of a closed mouth smile. I love how organic her base is, the sculpt on it is very detailed. I especially love the Venus Flytraps included on the base. I also like that her hair has a similar motif to the base, they used the same type of curving, flowing lines on both her hair and the base. More photos available on my Flickr. 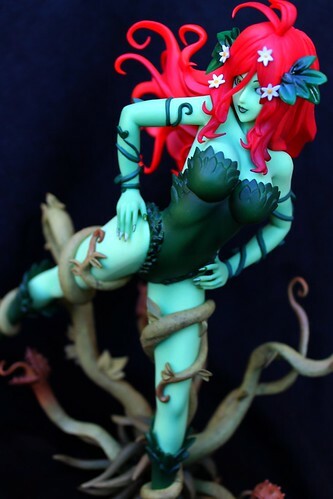 This entry was posted in Comics and tagged batman, dc x bishoujo, kotobukiya, poison ivy. Bookmark the permalink. I definitely think this is my favorite figure of this line as well; she just seems so dynamic and almost alive. Quite fitting for a plant-themed character, if I do say so myself. 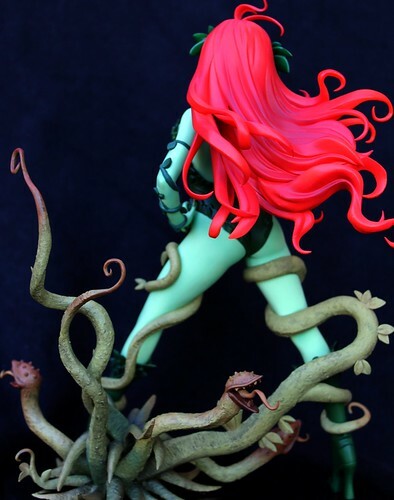 I’m really impressed with what Kotobukiya has done with this line in general but Poison Ivy just surpasses anything else done in the line so far. I can’t wait until the flowers are in bloom here to take her for an outdoor shoot.